As shown before, the is in Spec of NP. 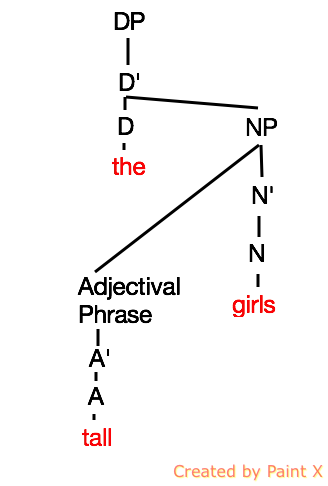 It gets quite complicated, so Noun Phrase was replaced with Determiner Phrase in order to handle the complexity. 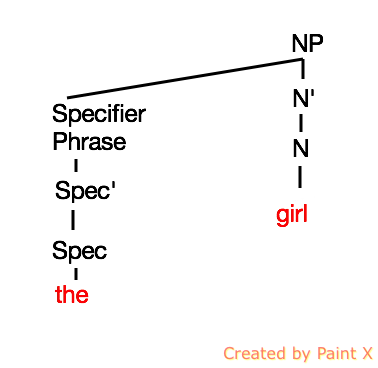 We can keep our neat system going if we imagine that there is a DP which takes NP as its object (complement). 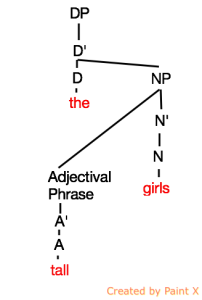 The solution was to say that Noun Phrases are actually Determiner Phrases (DetP). 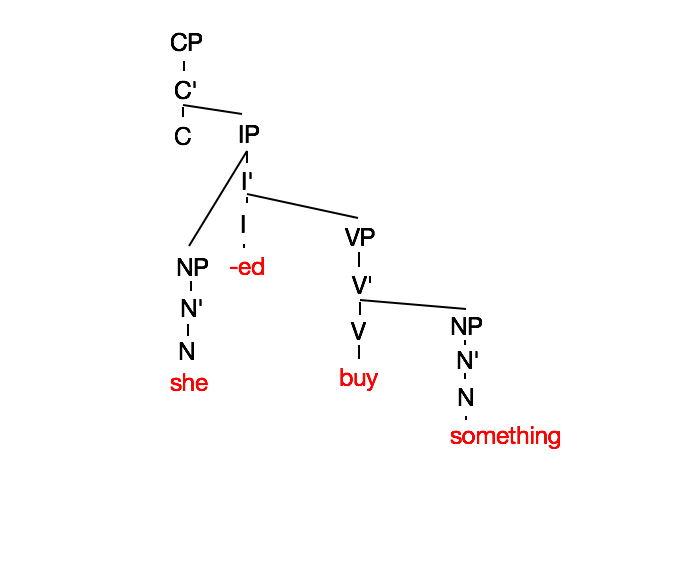 Det takes NP as its complement just as C takes IP as its complement, just as I takes VP as its complement, just as V takes NP (sorry now it’s DP!) as its complement. This keeps everything very neat and tidy. 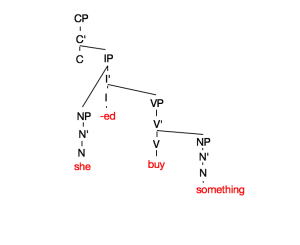 As we can see, IP is the complement (object) of C, VP is the complement of I, NP is the complement of V. It’s all very neat! Except they are not NPs any more — they are DPs. So NPs became DPs, with D taking NP as its complement. Very neat! Even so, how can we handle 3, repeated below? Where does three go in this phrase? For some suggestions, check out the PowerPoint slides here.